Sam’s Theory follows a young teen named Sam as she escapes from an abusive home and finds a caring old lady in the woods. What was the initial inspiration behind this story and how did that develop as you were writing? Sam’s Theory came from a blend of my own experiences and the experiences of the children I have worked with in a mental health setting. Children are, hands down, the most resilient creatures in existence. They are starving for knowledge, attention, and coping tools. Unfortunately, for various reasons, many of them are lacking the healthy adults to provide them with such. Children want to heal after they are hurt, but it is rare they are met with the care and competency to do so. I worked with too many foster youth, children in Protective Services, and runaways that didn’t have access to substantial, supportive advice. They ended up hurting themselves to be heard, and that is inexcusable to me. My mission became clear in that I needed to create a resource that was safe, immediate, magical, easy to access, and compassionate for these kiddos and young people to grow through. This is also why I have evolved into offering free “book clubs”/”empowerment groups” for at-risk youth near me. This book assures that kids and adults know that they are cared for, if even by only these characters or the author that created them. Sam has a tragic story and the book does a great job of conveying her emotions. What were some obstacles you felt were important in defining her character? It was important to me that Sam be relatable and experience the emotions that I believe we all, as humans, feel, but rarely discuss out loud with one another. There is something about the desperation and gravity of loneliness, sadness, and shame that can make us isolate from one other. I needed Sam to be all of these things, but without being a victim. Victims struggle to genuinely recover, while survivors summon the grit to find a way out of themselves. It’s difficult to do that on your own, so Theory offers an opportunity to do so. Recovery from scary experiences isn’t the survivor’s fault, but it does become their responsibility (as annoying as that might be). Sam needed to have just enough perspective, self-awareness, and hope in her environment to rise to the call of change when it finally beckoned. The reader hurts with Sam, risks with Sam, and eventually heals with Sam. It is a realistic portrait of what it is to grow as a human through adversity. The relationship that develops between Sam and Theory is something I admired. What was your inspiration for their relationship? Thank for the kind words and recognition of how special their relationship is. Sam and Theory’s relationship was loosely based on both my relationship with my own therapist, and the relationship I developed with the kiddos on the inpatient psychiatric unit I used to work on. What astounded me when I first met my therapist is how firm and intentional her boundaries were. She took her time in allowing me to emerge from my shell, then nurtured each step without judgement. I then modeled the same compassion and safety for the kiddos I worked with and watched them blossom because of the same type of competent care. I think the therapeutic relationship is so deeply vital to our journeys towards authenticity and potential. Mental health still has, unfortunately, a stigma against it that needs to be eradicated in order for people, generations, and the world to become a healthier whole. Now more than ever,mental health is critical. Finding the right therapist takes time and sometimes several tries. Once that connection happens though, it can be so magical it becomes worthy of a novel. I hope more people can find sanctuary in Theory’s character, and then have the courage to find her in their own lives. It is my deepest wish for readers that they close this book and feel as if they have a connection to something more meaningful than what they’ve been experiencing in their normal everyday. One of the most common responses I’ve received to this book is that it’s made someone cry. Every account of that type of movement is a gift to me, because it means this book is achieving exactly what I set out to do- to create a safe space where people could be vulnerable just long enough to consider an empowered “what if.” I wanted readers to have a sense of family in these characters and have their deepest, darkest emotions normalized. This story is meant to be a visceral experience, and I hope that people walk away from it with just enough hope in their heart to consider what a healthier, happier existence could look like. Everything can be okay, they just need to stay forward-facing and a little bit brave. After a final act of horrendous abuse threatens her life, fifteen-year-old Sam runs away from home and into the Olympic Mountains of Washington State. Physically and emotionally exhausted, she happens upon a mysterious tree house in the woods which shelters an old woman named Theory. Through elements of magic and sage advice, Theory takes Sam on an unforgettable healing journey. Sam begins to discover that she, too, has powers. But her process is interrupted by the nervous reality that her abusers will soon go after her younger sister, Nova, unless she can get to her first. With the help of Sam’s friend, Dodger, and two other spirited kids from foster care, the group sets up a hidden camp in the wilderness and forms “The Orphan’s Collective.” While struggling to create their own concept of “family,” Dodger and Sam also work to navigate their budding feelings for one another. As the group formulates a plan to reach the masses of kids left behind by adults who never wanted them, they naturally begin to rewrite the fate that has seemingly already been decided for them. 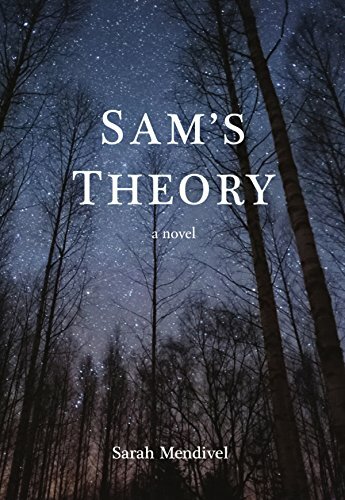 Sam’s Theory is a story of immeasurable grit and re-empowerment after trauma. With embedded real-world advice, it is the recognition of our tremendous capacity as human beings to withstand darkness and summon resiliency, simply by learning how to use our voices and reconnect with those around us. 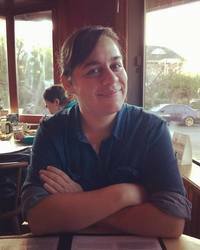 Posted on March 31, 2018, in Interviews and tagged adults, alibris, author, author life, authors, barnes and noble, book, book club, book geek, book lover, bookaholic, bookbaby, bookblogger, bookbub, bookhaul, bookhub, bookish, bookreads, books of instagram, booksbooksbooks, bookshelf, bookstagram, bookstagramer, bookwitty, bookworks, bookworm, children, ebook, empower, family, fantasy, fiction, foster, goodreads, ilovebooks, indiebooks, kids, kindle, kobo, literature, magic, mental health, nook, novel, protective services, publishing, read, reader, reading, runaway, sams theory, sarah mendivel, shelfari, smashwords, social, story, teen, writer, writer community, writing, youth. Bookmark the permalink. 1 Comment.